Any act of taking someone else's property with the intent of keeping it from them permanently is considered a theft crime. Theft may also happen when you deceive the property owner into thinking you have a different purpose. If you've been arrested for theft, burglary or robbery, it's important to hire a skilled criminal defense attorney in Jacksonville for your case. Theft may be considered a very serious crime, depending on the factors involved in the case. You need an experienced lawyer to handle your case. After you've been arrested, make sure you call Tassone, Dreicer & Hill. We will provide a full defense and our experienced criminal defense lawyers have handled several theft crime cases. Many types of crimes may be classified as a theft crime. These crimes may be considered misdemeanors or felonies, depending on many different factors. The value of the property is an important factor, along with any force or threats used during the crime. Any type of crime including taking property not belonging to you, with or without force, may be classified as a theft crime. When you become arrested due to a theft crime, your first call should be to a skilled and knowledgeable criminal defense lawyer in Jacksonville. With the right lawyer on your side, you will have several options for defense in a theft crime situation. Just like any other criminal charge, the prosecutor has the burden of proof and must provide evidence of guilt beyond a reasonable doubt. The intent is a very important factor when it comes to convictions in theft cases, as well. If the prosecutor cannot show intent, it's less likely you will be convicted. In addition, the way police handle the investigation and the arrest will also play an important role in the case. If improper procedures were used or inappropriate actions were taken by any officers involved in the investigation, it may put the entire case under attack. Any evidence obtained through violating the rights of the defendant may be suppressed. A skilled criminal defense attorney in Jacksonville will be able to explore many options for defense in a theft case. It's possible to have the charges dismissed, obtain a verdict of "not guilty" or negotiate a favorable plea deal. A theft crime may be considered an indicator of dishonest character. If you're convicted, it could make it difficult to find a job or get into an academic institution. Due to the nature of the crime, theft cases are given careful consideration when they show up on a background check. You could be denied professional licenses or denied by a landlord. 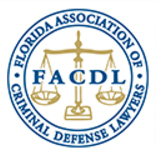 It's critical to choose the right Jacksonville criminal defense lawyer for your theft case. At Tassone, Dreicer & Hill, we provide an experienced legal team ready to help you with your theft crime case. Contact The Law Offices of Tassone, Dreicer & Hill today or call us at 904-396-3344 and we will ensure you will receive a full defense.